I do not consider myself a patient man. I do not like the journey. I would much rather instantly arrive at the destination fully equipped to do what needs to be done. Perhaps this is part of my nature being a first born child? I can tell you though, that life is all about patience; life is all about the journey and waiting. Recently, I’ve been playing through Shadow of the Colossus on the PS3. The game is about taking down monolithic giants in order to save the girl you love. Each of the giant’s deaths brings you closer to the day when she will awaken…or does it? In defeating these in-game giants, I am slowly being taught patience. The game demands that you study your enemy. That you know how the colossi move, where their weaknesses are, etc. 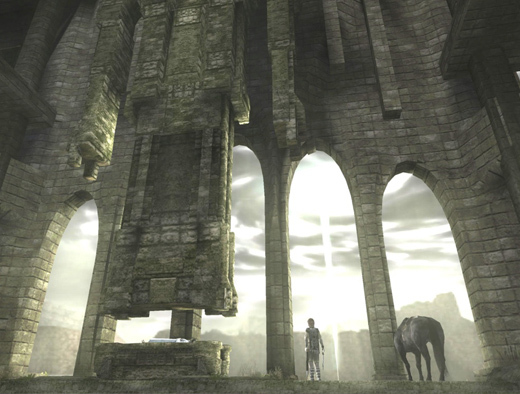 In learning about each colossi, the player eventually learns how to climb and annihilate each of them. Climbing is no easy task when you are climbing up a moving skyscraper. This is where the aforementioned patience comes into play. 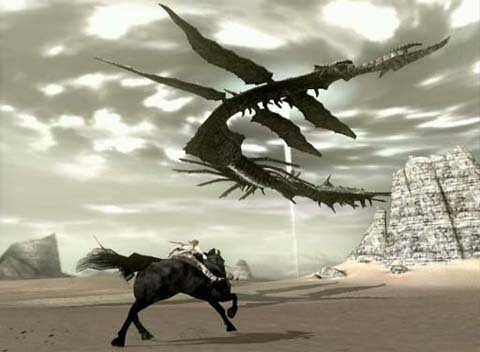 As the colossi moves, the player has the potential to lose grip and fall. If you get greedy, your greed will be rewarded with having to re-climb the colossi again. Sometimes climbing these creatures is easy; othertimes the experience is the worst thing in the world. I never thought I’d have a video game teach me about patience. So far though, Shadow of the Colossus has done just that. THe graphical overhaul is amazing. These two games are classics and genuine pieces of art in the gaming genre. I’d highly reccomend this to anyone who played hem before and definatly would for anyone who never played them before. The thing that I remember most about this moment is that it all happened so fast. Agro was the player’s lone constant in the strange, dangerous world of the game. No matter how towering a colossus may be, your horse was never more than a whistle away. But suddenly in the span of 15 seconds, the player was left alone in the world. For Ueda and Team ICO to take away the player’s one source of comfort was a wild and risky move that paid off by creating an unforgettable moment. Though no words were ever spoken between Wander and Agro, their bond was undeniable. To sever it so close to the their journey’s finale speaks volumes of the game’s willingness to stop at nothing in order to deliver a raw and emotional gaming experience.